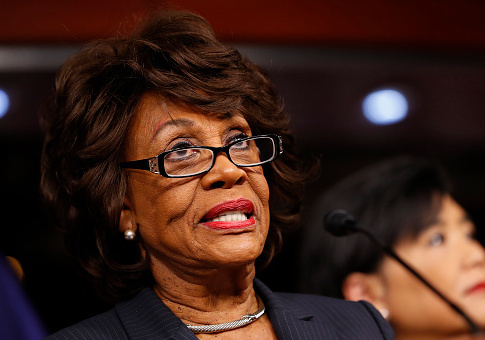 Maxine Waters Supports 100,000 More Syrian Refugees in U.S.
Rep. Maxine Waters (D, Calif.) slammed President Donald Trump on Sunday for his temporary refugee ban and backed a MoveOn.org petition calling for the United States to take in 100,000 Syrian refugees. MoveOn.org held a publicized telephone call with Waters on Sunday, when she claimed that if Trump "really cared about the plight of Syrian children … he would rescind his executive order banning Syrian refugees." Waters criticized Trump's proposed budget cuts for not helping Syrian children, before praising a MoveOn.org petition demanding that Trump allow Syrian refugees into the United States. Trump's executive order was signed in January, and indefinitely banned Syrian refugees from entering the country. MoveOn.org's petition claims that Trump's administration "has attempted to slam the doors entirely on Syrian refugees and gut funding for international aid and diplomacy." More than 800 people signed the petition which declares that the United States "must match the generous and humanitarian impulses of the American people and live up to our international responsibilities." That meant, according to MoveOn.org, "expediting the acceptance and resettlement of 100,000 Syrian refugees."